Our forecasted high for today is 100F (38C). It’s going to be hot again tomorrow and Friday before cooling down for the weekend. I have both the temperament and the complexion for the British Aisles, so this weather puts me out of sorts. Mouse agrees. Unfortunately we’re in the middle of a terrible drought. Above-average temperatures further evaporate our low reservoirs. Dry grasses increase fire risk. I met with Cheri Garza of San Jose Water Company for a household water audit. She really knows her business, and taught me a lot. Outdoors, she inspected the hose bibbs, our irrigation system, the irrigation schedule and the water main. She tested for leaks and watering efficiency, then measured the square footage of our lawn. She liked the sidewalk strip conversion (we removed the lawn and capped several sprinkler heads. She said a lot of water goes to waste in the strip. Indoors, she checked faucets, showers and toilets in each bathroom, then checked the kitchen faucet, dishwasher and washing machine. On the plus side, our indoor water usage is efficient. All the faucets, toilets and showers use 2 gallons per minute or less. I do minimal hand-washing , which is less efficient than a fully loaded dishwasher and the same for clothes washing. The down side is that it will be harder to reduce when mandatory rationing sets in. Outdoors, however, there are many ways to improve our water efficiency. San Jose Water is offering partial rebates and we qualify for all three. They allow you one year from the date of the audit to complete the projects. Originally they rebated seventy-five cents per square foot. They’ve increased that amount through September to $2 per square foot if you replace water-thirsty lawn with approved native and drought tolerant plantings. The second rebate offers up to $5 per sprinkler head. Our sprinklers are only four years old, but the new and improved Rainbird U-Series uses up to 30% less water. The third rebate went into effect in January and applies to a graywater system. Water savings amounts to 17 gallons per person, per day, or on average 14,565 gallons per household per year. I need to do my research on this, but on the surface, I love it. 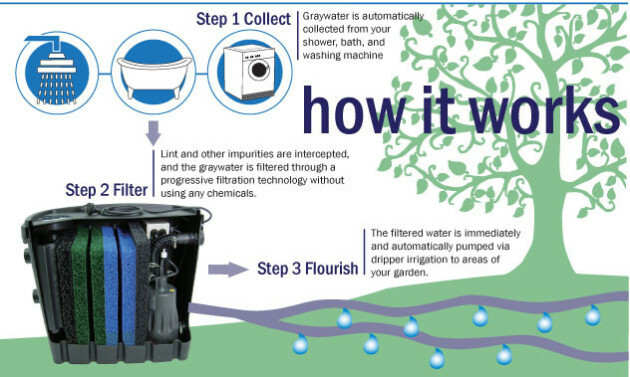 You divert graywater from your washing machine and use it to water non-edible landscaping. Drip irrigation is the most efficient way to water landscaping. In California, turn off your irrigation system completely in December until mid-March. Water your lawn for three to seven minutes, three to four days a week. It’s a lot of information to digest, but I’m excited at the possibilities. If you have more tips, please share them in the comments below. This entry was posted in Garden Products and tagged california drought, conserving water, irrigation system, San Jose Water, San Jose Water Company, water audit, water efficiency, water inspection, Water Watcher Report. Bookmark the permalink. Goodness, that is too hot for me already – and as you so correctly noted, it is still Spring! You may need to take your family to the far north or far south to avoid the current climatic change! My eldest has your fair skin too – sun and heat are not her friends! Perhaps one of your clever boys can come up with an invention that will allow you to have your own portable cooling system attached to your person in some light-weight and discreet manner………. Your local council seems to have some good incentives to help its citizens meet the changes needed, which is always heartening. But it sounds like more rigorous prohibits and changes may be in the works – I love that you feel interested and excited about meeting the challenges – the world needs to follow your example!! However, I am now feeling relieved that I live on an island in the far south and heatwaves do not appear to be the way we are heading! Your eldest has my sympathies. It’s hard living in this climate at times. My husband’s Latin roots extended to the boys, so they manage it better. I’m grateful for that. I’m grateful you’re able to escape potential heatwaves. I hope you don’t have weather in the other extreme as autumn gives way to winter. I love that you love that I’m interested. You have a way of making me fell wonderful every time you stop by. Thank you for that. I know the house we’re going to has a sprinkler system too but very very little lawn. We will be very conscious of how much planting we do too. While it’s been enjoyable in the past, we really want to be able to travel and get a pet sitter whenever the notion grips us. The grey water recovery system sounds very interesting. I do laundry almost daily. That’s a lot of wasted water. I think you’re smart to get organized early. Later, if and when it becomes mandatory, everyone will be looking to hirer these professionals all at the same time. Hurray for being able to travel at a moment’s notice. You are a great planner, Boomdee. You make a good point about organizing early. Like many things, it is best to do them off season. Wow…regular rain on your birthday. You must be sick of it by then. Today was 95F, tomorrow drops to 87F and by Saturday 78F. We do have several fans in the house which help. 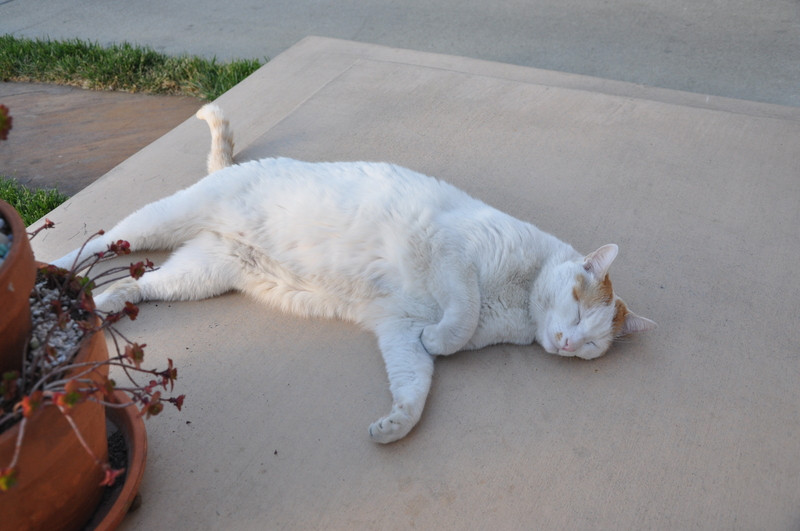 It must be hard to have all that fur when the heat suddenly hits. It worked! The weather was perfect: warm with a breeze. We can’t smell smoke from the San Diego fires, but we’ve had our share of small, local fires and it always gives me a jolt when I smell it. It was so dry on the trail today, that I couldn’t help worry about the implications of a tossed match. Scary stuff. I’ve missed acknowledging your long weekend. I’m sorry about that. Did you have a nice time dining with your friends? You didn’t miss anything at all but thanks my dear. It was Victoria Day. The three day weekend went by too fast. We enjoyed meals out and I crafted a bit but not as much as I wanted to. I got to cleaning the BBQ and it turned into a 3 day thing. It looks like new now. It’s all Stainless so OMgosh I scrubbed and scoured to get off years of baked on gunk. I wanted it to be spotless and sparkling for our move. Was it Memorial Day for you? Jim had Monday off and said the banks in the US were also closed. How nice of you to ask about our dinner xo. We met up at the restaurant and found it closed for the holiday. So we drove over to another one they knew near by and also found it closed. We ended up at the Olive Garden as a last resort. My meal of Eggplant Parmigiana was so big, I’ve had it for lunch and supper today too. We had a great visit and the food was ‘ok’. Kari wore an awesome cute dress. Very bohemian and I want one too. So I might go look at the same store. Kari’s got a very nice figure and everything looks really great on her. I may not have the same luck. It’s got a busy and colourful print. Glad the smoke is way far away. I remember one summer when there were forest fires up north and we could smell the smoke in Edmonton. It was actually hazy too. Let’s hope it stays on the cooler side. People and kitties need a break. This is great news that the water companies are offering assistance and rebates. I think this will start happening in parts of Europe too, and my sister in the UK just told me they have installed two large water tanks that collect rainwater from the roof. We are considering something similar in the future, although a lot of our roof water is redirected into the garden anyway. It’s amazing how much can be collected even from a short shower! Replacing lawn with drought tolerant plants is also an excellent idea for the wildlife. Interesting post Alys! Thanks so much, Cathy. How great that your roof water diverts to the garden. Our roof water (meager though it is) drains back into the soil/groundwater. We don’t have run off, but we don’t have enough for watering either. Its nice to hear that parts of Europe and the UK are on board. Eventually we all must make a difference, or the difference will be made for us. Yeah that is hot for this time of the year, it doesn’t usually hit that here til July! Great tips, we follow a lot of them already. I also wash salad and veggies in bowls and then use the water to water my plants. Love your suggestions! Do you remember the book “50 Ways to Save the Earth”. Like your list, it was full of simple but meaningful suggestions to help reduce our impact on the earth. As I type this, it is pouring outside and we are receiving constant warnings about flooding. Alys, you always provide your readers with great information! You can’t simply complain about your water bill or your electric bill – – you need to do something about it. Every city has ways to conserve water and electricity, but you need to be wise about it. Making these types of changes do make a difference. Even installing a new thermometer in your home can conserve electricity. I have also heard that by placing either a brick or a skinny milk jug filled with water in your toilet can help conserve water usage too. 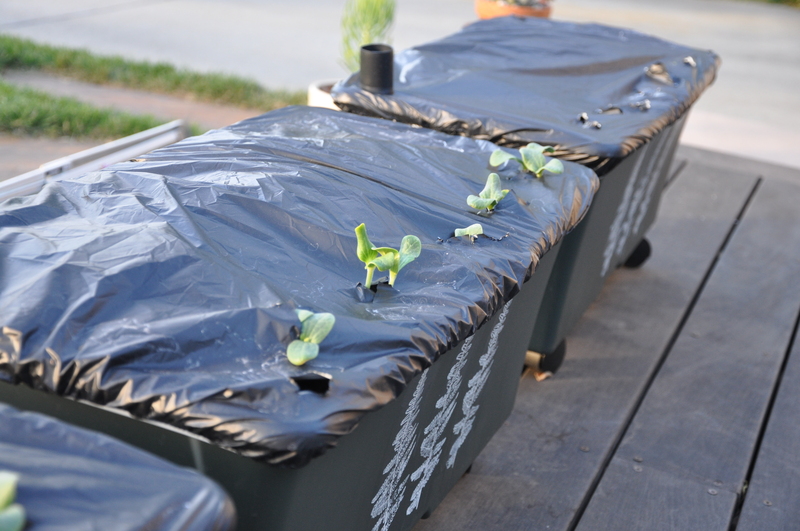 As you know, we use a few rain barrels in our yard to water our garden all season and all of our flower beds. And that is a huge savings on our water bill for sure! Very cool to read about these conservation efforts. I find the most effective ones tend to be ones which appeal to people’s wallets and San Jose seems to think so as well. The gray water idea also seems great as well – using the water as much as possible rather than needlessly running more fresh water. Good point, Will. Our city has a lot of wonderful programs in place. I hope more people will take advantage of them. You are doing a wonderful job with major improvements. They are just what you have to do. I can only add a couple of small ideas as tweeks. I agree with Craftysorcha, capturing those odd parcels of water is a good idea. We have a bucket kept under the kitchen tap to catch the veggie rinsing water, cooking water (such as pasta water, water from the steamer), and so on. During our drought here we also kept a bucket in the shower to collect the water as the shower was getting to the right temperature. Both sources were great for pot plants. Watering restrictions were very severe after quite a few years of drought. In my garden I had to accept that whatever could survive was great, and not try to have plants that required water. I prioritised the maple tree, as it gives the house so much shade. One of the other suggestions was to group plants with similar water needs together. This didn’t work in my garden because my planting is rather haphazard! I was surprised to see you’re already dealing with 100+ temps! I think we may get the same up here (Edmonton, AB) this summer; not looking forward to it. My Mum and Aunty and their sibs grew up in southern Saskatchewan during the Dirty 30s and had to conserve water drastically. Dishes were washed without soap so the water could be used for the pig. The water on the farm was too alkaline to drink or cook with, so water was hauled from a neighbour’s farm; barrels on a horse–drawn wagon for years; later on barrels in a pickup truck. You don’t waste water that is hard come by . . .
I’ve lived without running water several times in my life and still conserve. I prefer to shower once a week (mostly to wash my long hair), but wash all over twice a day with a couple of washcloths and a basin of water. If I had a garden, the wash water would go there next. I use minimal water to wash dishes, too. And both Mum and I care for our clothes, so there are items kept for going out and older, more worn things used for home. When I went to school, we had three or four outfits at most and changed immediately on arriving home into ‘play’ clothes. I do laundry every week or two, depending on what needs it. We average one – two loads a week. We used to change the sheets (before fitted sheets) by putting the top sheet on the bottom, then washing the bottom one only; next week, that bottom one was washed and so on . . . The blankets and top sheet on our beds were turned back in the morning for an hour or so to air the beds and keep them fresher. We used to do our laundry in a wringer washer; they went through the wringer after washing and fell into the bathtub (filled with water for rinsing), then through the wringer again, caught by hand and put into a basket and taken outside to hang and dry in the air and sun. The rinse water was good for several loads of wash, as lights and whites were done first, then medium weights, then last the heaviest things, like Dad’s work pants and shirts, also socks. This system just takes a bit of planning and is easy to master. I usually steam a large pot of mixed veggies and then it lasts for more than one meal. Mum picks out what she wants and I eat the rest. I drink the veggie water for its extra nutrients. The baby was bathed every morning (and sometimes before bedtime, too) in a large bowl of water; the younger kids in a metal washtub, youngest first; then older kids and adults. Later, when we had indoor plumbing the little ones were popped in the tub four or five together and Mum bathed them while Dad played his guitar and sang to keep them amused. Older kids, of course, bathed alone, but were encouraged to use minimal water. This was once a week, of course. When I lived in the country, our dishes were washed in a plastic basin and the water taken outside to put on a fruit tree, flowering shrub or other plants. We saved up our laundry and back-packed it to town to do at a Laundromat once a week or so. About two loads, one lights and one darks. Toilet water use can be reduced by putting a two litre (two quart) plastic bottle, like a milk bottle, into the tank. I like to fill it with small pebbles and then water, then put the lid on tightly. A brick can work, but it also can erode and the ‘dust’ can cause plumbing problems, I hear. 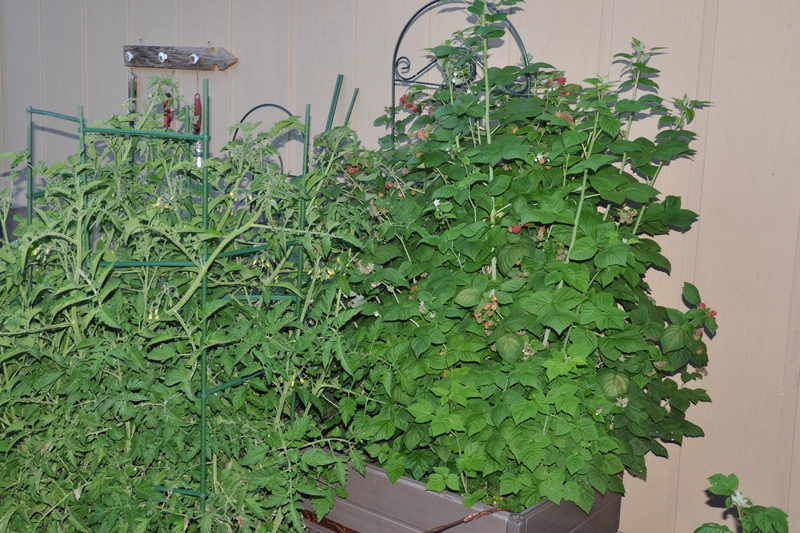 When I worked in the Okanagan on a small truck farm years ago, the temps would get up into the high 90s; we would get up before dawn, eat (out of the garden, lucky us), then work ’til it got too hot; usually around 11:00 or so. Then we’d take a blanket, books, our eldest son and some fruits and veg from the garden. We’d go down to the brush and willows by the irrigation creeks. Spread out the blanket, then lie in the water until we were thoroughly chilled; then lie on the blanket and read or talk until we were hot, then back into the water . . . Around 5:00 we would go back to work until dark. As work included harvesting and also moving heavy irrigation pipes, it was best to do most of it when the temps weren’t so hot. Even feeding and watering the few chickens, rabbits and other animals was done early and late. One thing I’ve done to cool off a house or apartment is to hang wet (not dripping) folded sheets in front of open windows or doors. The evaporation helps a lot. I learned that from reading about India. When it’s too hot to sleep here, I use a spray bottle to sprinkle my upper sheet and nightclothes until they are fairly damp; again, the evaporation brings quick relief. If it’s very bad, I repeat as needed throughout the night. You might try wiping Mouse down with a damp cloth or hanging a damp cloth or towel in front of an electric fan with his bed in front. I’d try it, anyway. I think we can learn a lot from those who have lived through hard times, if we are willing to listen and then adapt our behaviours. I’ve been very lucky, I think, to have that sort of education so early in my life; makes it easier now.